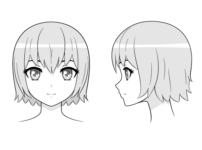 This short tutorial focuses on how to draw anime and manga eyes to give a sense of a characters mood or personality. 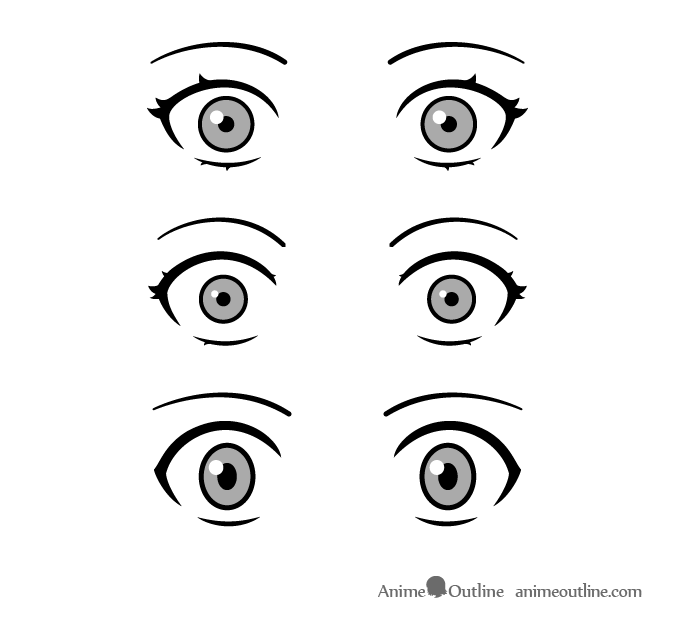 This is similar to the How to Draw Anime Eyes and Eye Expressions but with a slightly different examples and purpose. Wile eye expressions are great for showing a characters immediate emotions a character can also have a more permanent or semi-permanent expression. 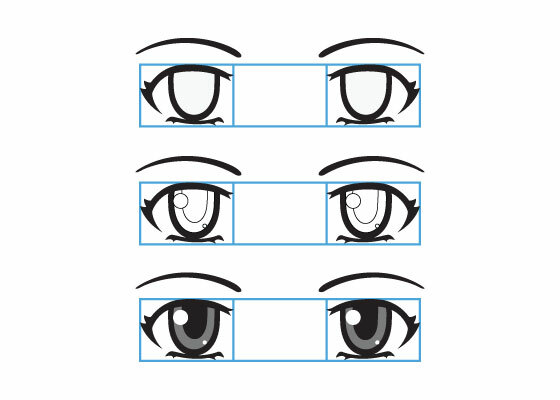 Here are a few tricks you can use to make a character’s eyes portray a certain personality. Please note that the examples are only recommendations. 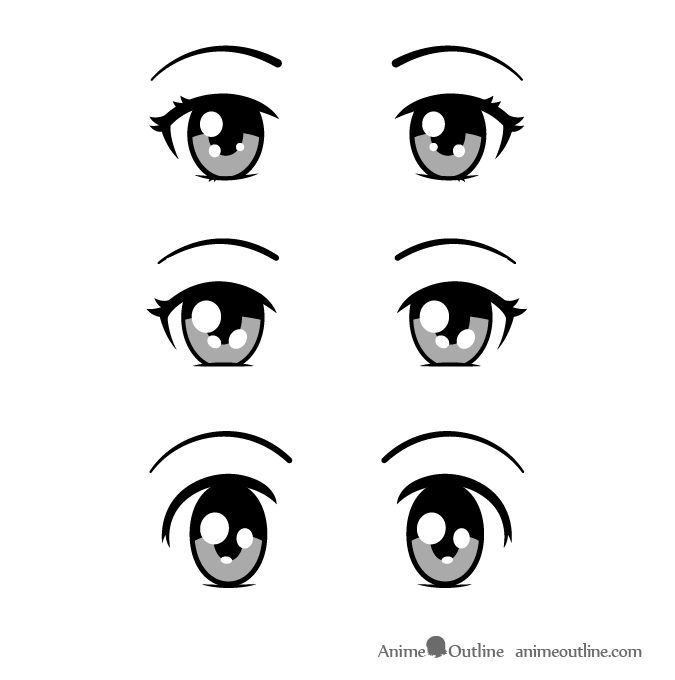 Big eyes generally are more expressive and friendlier looking. 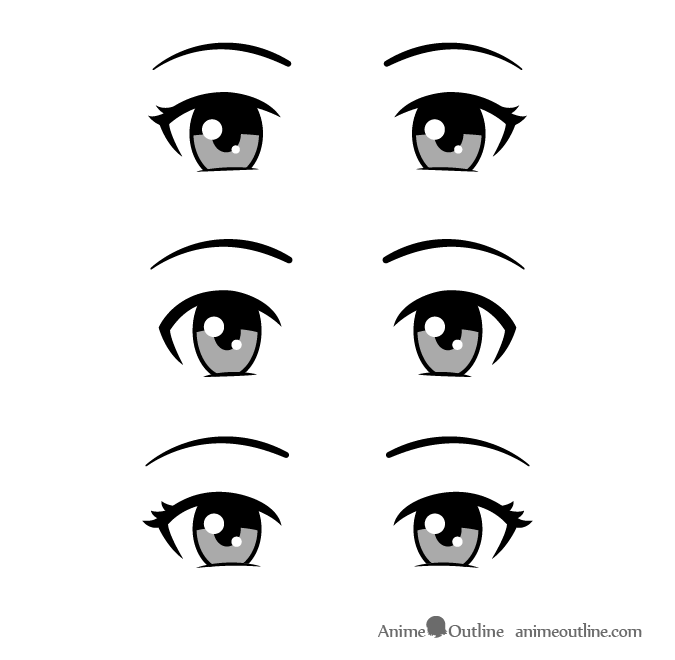 To make eyes look even friendlier you can draw the bottom eyelids very slightly raised and curving downwards. 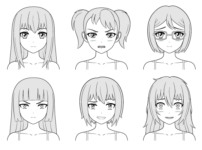 This will give the eyes a light squint as though the they are smiling and create a friendlier appearance. 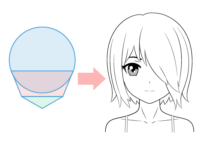 Adding a lot of reflections especially to large eyes can give a character an innocent, exited or even an “in love” appearance. 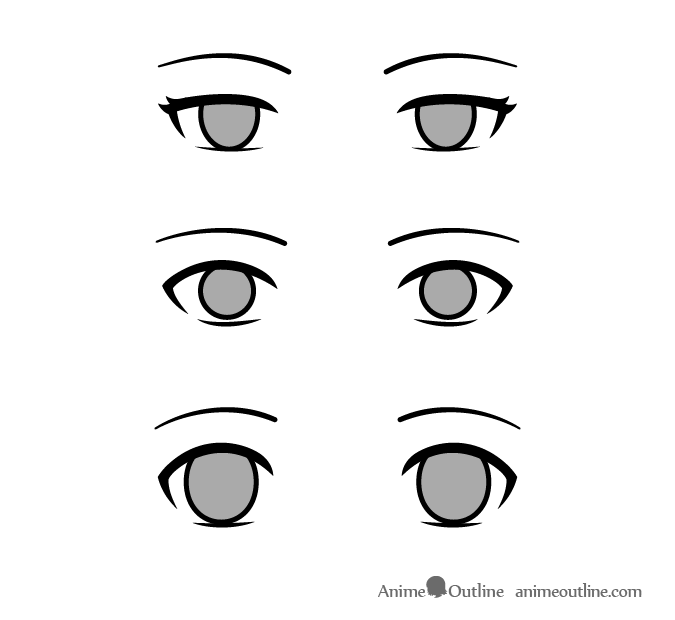 For a serious looking anime character you can draw the eyes vertically narrower with the top eyelids and eyebrows lowering down towards the middle of the face. 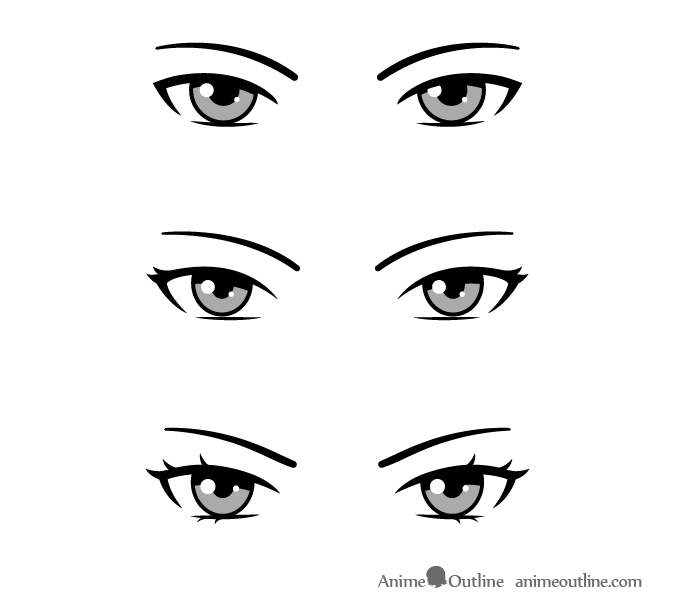 If you want a character have crazy or scared looking eyes draw them wide open with small irises and small pupils. Leave white space between the irises and the eyelids/eyelashes. 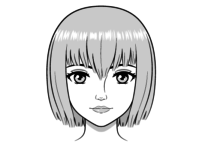 For “empty eyes” draw the eyes with no pupils and no reflections. 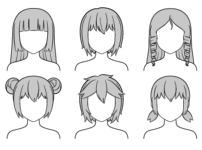 This can make a character look uncaring or even unconscious. 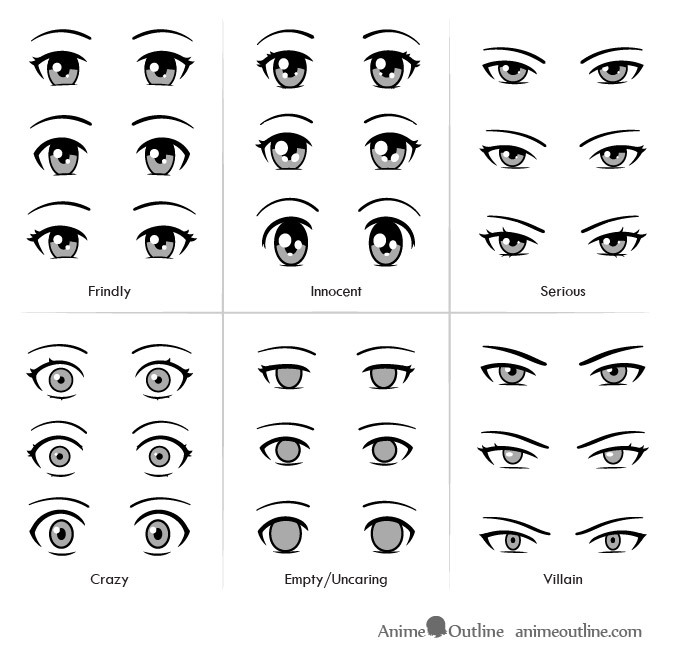 There are a lot of personalities and eye types in anime. 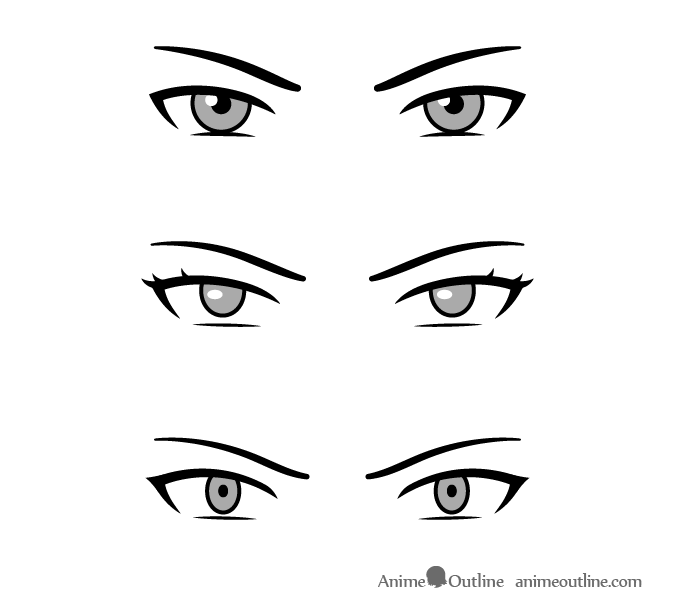 This tutorial is meant to give you some basic ideas of how to draw eyes to portray a character in a certain way. 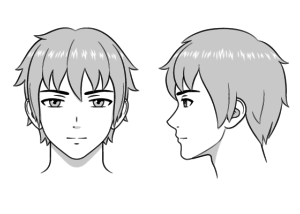 If you need more reference you can always pause a certain scene of an anime, look at a panel of a manga or even look in the mirror and try and make the expression you want to draw.